My husband and I recently rewatched the three movies of Christopher Nolan’s Dark Knight Trilogy. If you’ve read this blog for a while, you may know that I am a big fan of Christopher Nolan in general, and in the very infantile stages of my blog I fangirled about ROBIN John Blake from The Dark Knight Rises and why he needed his own movie. These feelings only intensified upon my rewatch. I want to see Christopher Nolan turn Joseph Gordon-Levitt into the new Batman and push Batfleck aside. Why do I love John Blake so much? He’s intelligent, resourceful, and brave. He isn’t dramatic and he doesn’t get distracted. I’m not saying he’s perfect, but… he’s pretty awesome. And he deserves his own trilogy! 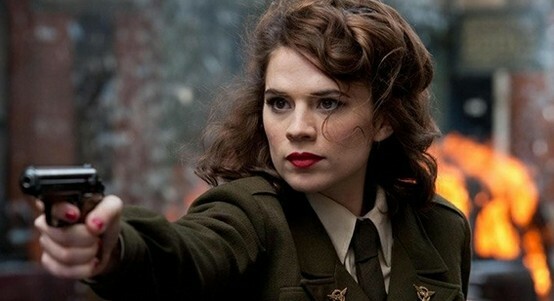 My love for Peggy Carter and my enthusiasm for the upcoming Agent Carter TV show is unending! I adore how she is feminine yet tough and able to handle herself. She grew to care for Steve for his courage and heart, and she possesses those qualities as well. And though it was hard, she was able to move past his death and accomplish great things. She’s amazing and totally deserves this show and I cannot WAIT! Lady Sif is awesome. More awesome than Jane, more awesome than Thor. She doesn’t need some silly hammer to knock down the enemy. She did appear in an episode of Agents of SHIELD, which was GREAT, but I could definitely use more Sif! A Sif movie? TV show? Even a one-shot! Just give me more SIF, please! Which side character from a superhero story would you like to see in the spotlight? SPOILERS! SPOILERS! SPOILERS! Do not read further if you have not watched The Dark Knight Rises yet but intend to ever. When I walked out of the theater after The Dark Knight Rises, there were several things going through my mind. But mainly John ROBIN Blake. I wanted to badly for Joseph Gordon-Levitt to play Robin. But even though I thought his character was just a guy named John Blake, I really grew to love his character quickly. In his youth he had a hard and troubled past, much like Bruce Wayne, but without the resources. Yet he rose above his circumstances, worked hard, and became one of Gotham City’s finest. And at the end when you find out his name is John ROBIN Blake, and that Bruce left him his cave and everything in it (essentially his legacy), I had to really contain my urge to fist pump in the air. C. NOLAN!!! IT’S ROBIN MOVIE TIME!!! Nolan has said multiple times he’s “done” with Batman, but we all know Robin isn’t Batman. 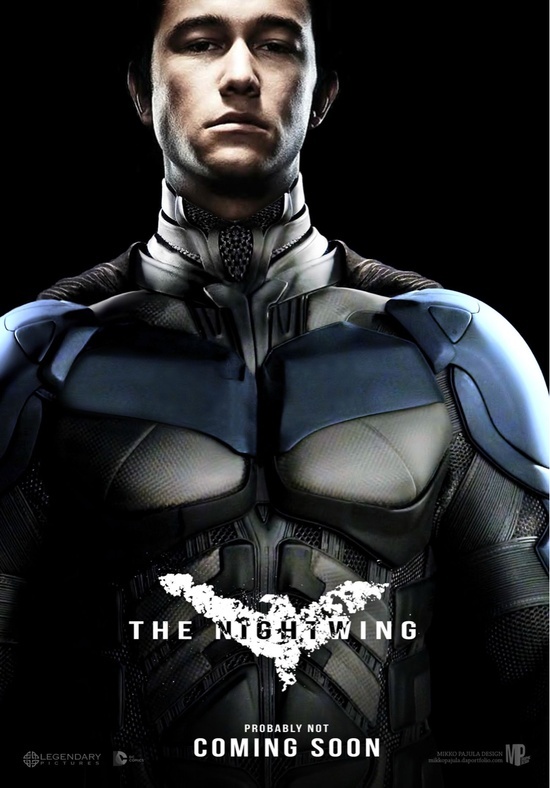 Even if he became Nightwing he wouldn’t be Batman. Duh. So in my mind, this is still possible. Move aside Cat Lady, John Robin Blake was the star of The Dark Knight Rises as far as I’m concerned, and he deserves a movie. But could it pretty please be coming one day? One with Barbara Gordon, Harley Quinn, and the Riddler. 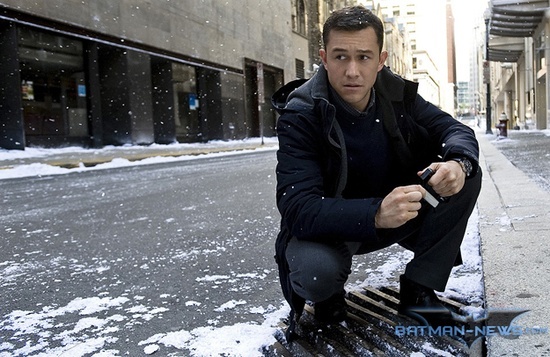 Robin John Blake (Joseph Gordon-Levitt) has been working with the Boys’ Home in Gotham reestablished at Wayne Manor after Bruce Wayne’s (supposed) death while working behind the scenes to prepare for his role as Nightwing when Gotham needs him. One day the Boys’ Home welcomes in a new intern, a graduate student studying social work named Barbara Gordon (Emma Stone or Ellen Page), who also happens to be Commissioner Gordon (Gary Oldham)’s daughter. Meanwhile, Arkham Asylum psychologist Dr. Heather Quinzel (Ellen Page or Olivia Wilde) is devastated by the death of one of her patients, the Joker, who she found fascinating and wrote her doctorate dissertation on. The Joker leaves Heather a note telling her to seek out an old friend of his, Edward Nashton (Leonardo DiCaprio) who lives for riddles and games. Heather quickly finds herself immersed in Edward’s world and he convinces her to finish the job the Joker started, and the two become a team as Harley Quinn and The Riddler. So there you have it, Mr. Nolan. The ball is in your court. I can be patient and wait a few years, but I want this movie to happen. I will be waiting for your call. What would you like to see in a John Blake movie?